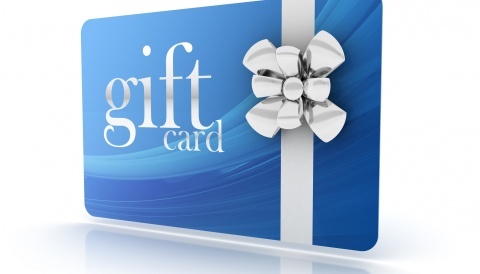 Fly Into AeroExpo UK and Win! The award is a hand built wire metal aircraft accurate in every detail of the subject aircraft, presented in a frame with a 45 degree mirror. The visual effect here is the provide a second image at 90 degrees to the original – creating a head on reflection of a plan view mounted model. 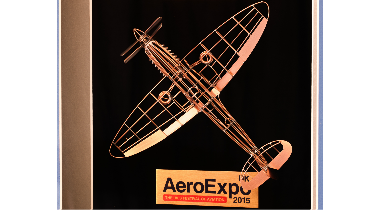 The award is of an iconic aircraft – the Aero Expo UK Award features the Mk XIX variant of the Supermarine Spitfire – Griffon powered – with the imposing double set of propellers. 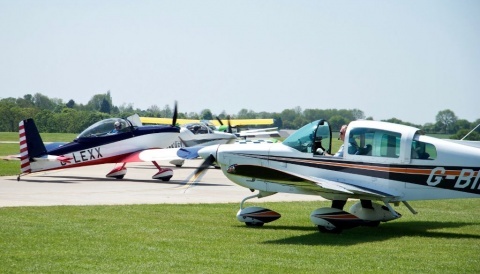 The award for 2015 is to celebrate furthest distance traveled by a private pilot at this year’s AeroExpo UK event. 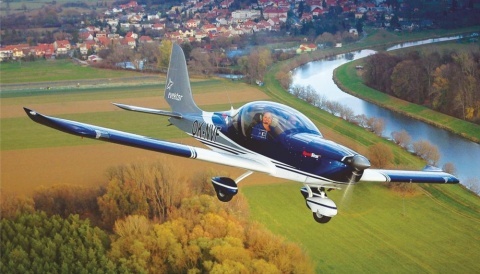 Please ensure that you visit the Friendly Skies stand at the show on stand C21, where they would be happy to show you very many other examples of the work and potentially entice you into making your favorite aircraft in this style.